There is a difficult future ahead as Northamptonshire Police force battles with continuing financial pressures, according to the chair of the county federation. Mr Jackson explained that there are an increasing number of vacancies on neighbourhood policing teams that are not being filled. He said: “Uniform is the one pool that gets emptied but doesn’t seem to get replaced. Neighbourhood and response officers are constantly covering for each other. Despite these concerns, Mr Jackson was optimistic about the positive way the force was responding to the challenges, particularly with regard to collaborative initiatives such as the East Midlands Special Operations Unit which has responsibility for serious crime investigations. Joint partnerships are not confined to other police forces, they are also happening with other service providers like the ambulance service and the NHS more widely. 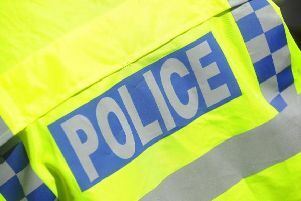 In response to an increased demand for police to attend incidents involving people with serious mental health concerns, Northants began trialling a new initiative which has seen trained medical practitioners routinely patrolling in police vehicles.